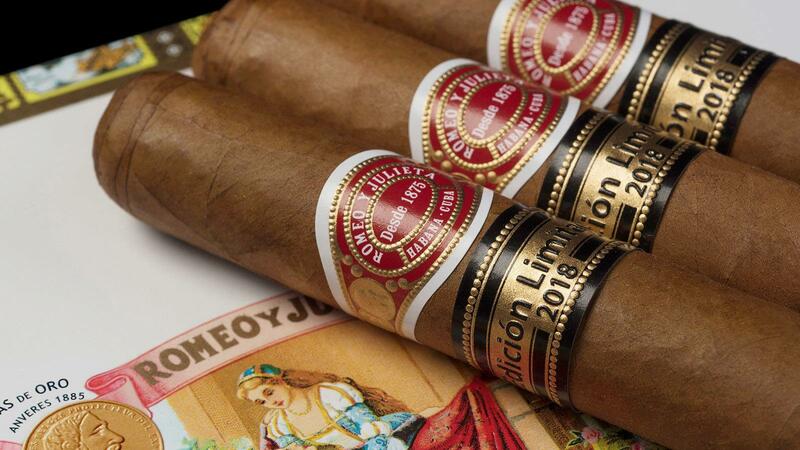 The Romeo y Julieta Tacos Edición Limitada 2018 scored an underwhelming 84 points in a blind tasting. Cuba’s annual trio of limited-edition smokes is beloved by consumers, but recent offerings are delivering mixed results in terms of ratings. Cigar Insider rated the first 2018 Edición Limitada, the Romeo y Julieta Tacos EL 2018, and it scored an underwhelming 84 points in a blind tasting. Last year’s Punch Regios de Punch Edición Limitada 2017 also scored 84 points. The two scores are the lowest ever given by Cigar Aficionado or Cigar Insider for a Cuban Edición Limitada. Other recent ELs have been quite good, by comparison. The Cohiba Talismán Edición Limitada 2017 scored 91 points, the Partagás Serie No. 1 Edición Limitada 2017 scored 90 points and all three 2016 ELs scored in the 90s—the Trinidad Topes (92), Romeo y Julieta Capuletos (91) and Montecristo Dantés (90). Like many new Cuban cigars, the Edición Limitadas tend to come to market rather late. The Bolivar Soberano EL 2018 made its market debut in late November, and will be rated soon. The H. Upmann Propios EL 2018 still hasn’t shown up on store shelves.